New York native Linda Ann Lopez is an expressive fine art visionary of mood. Moods, emotions and feeling are captured in Lopez photography and encaustic works of art. No matter the theme, medium, or the tool she uses to express her vision, her works seem to connect with the viewer. Working from her Lake Mary studio for the last 30 years, Lopez tells her passionate stories of Florida dramatically themed in her art. Over the years her favorite themes include birds, horses, trees, and flowers. Her practiced media types vary from acrylic, pastel, pencil, oil, silk to photography. "Originally I started taking photos as reference material for my paintings." said Lopez. "Then photography became an obsession. I even stopped painting for a short time, to learn the world of photography". After Lopez purchased her first DSLR camera. Her voice really emerged. 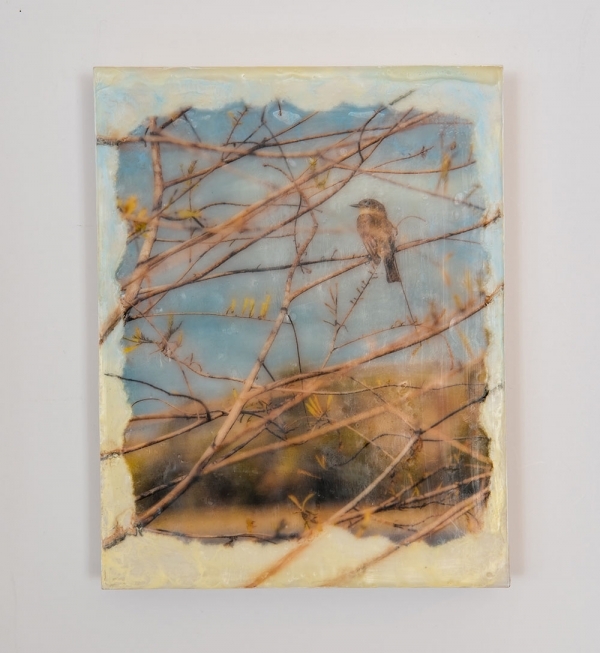 A friend told Linda about a local art class that incorporated Photos with Encaustic. This appears to be a huge catalyst in the voice you see today in her work. Today you can see her original fine art photography on rice paper with Encaustic and other media worked in for desired effect. Lopez also went on to say, "Expressing my vision with melted beeswax and photography brings me a profound sense of peacefulness and purpose." Lopez is a member of the International Encaustic Artist group and the local Florida Wax Chapter. Her Encaustic art was recognized as People’s Choice in the local Encaustic show. Lopez continues studying various methods and trying new media. She can often be heard saying "I see art everywhere." I always look at lights, darks, shapes and texture in the world around me. I see things others don’t, and I want to share what I experience visually in the world around me”. 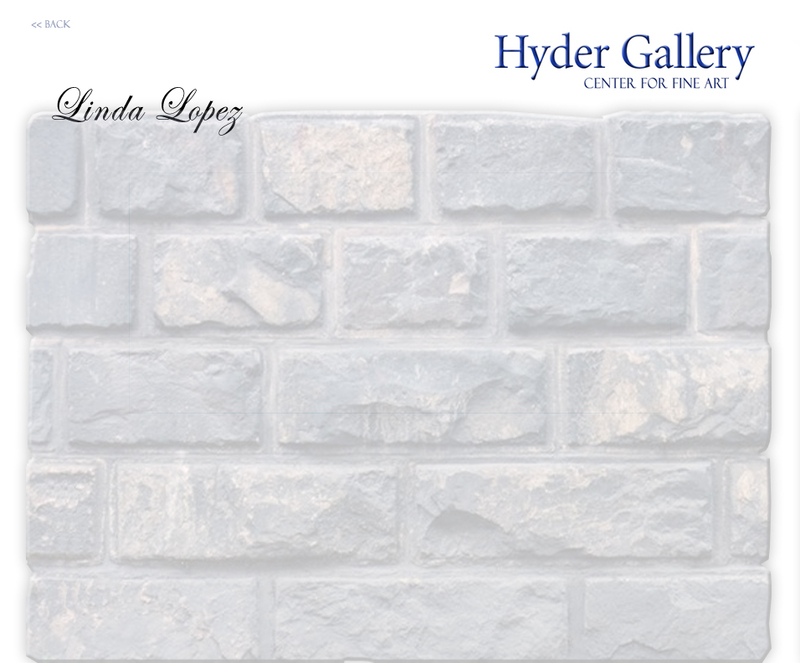 Lopez is now expanding her representation to various fine art Galleries around the USA. Linda Ann Lopez shares her love of nature and the world around her through her lens, studio and heart. Height 10" x Width 8" x Depth 1.5"
Saw these cute little Eastern Phoebe's through out the Orlando Wetlands on a 4 mile hike. Loved the colors that surrounded this little one. Linda Ann Lopez Professional Artist New York native Linda Ann Lopez is an expressive fine art visionary of mood. Moods, emotions and feeling are captured in Lopez photography and encaustic works of art. No matter the theme, medium, or the tool she uses to express her vision, her works seem to connect with the viewer. Working from her Lake Mary studio for the last 30 years, Lopez tells her passionate stories of Florida dramatically themed in her art. Over the years her favorite themes include birds, horses, trees, and flowers. Her practiced media types vary from acrylic, pastel, pencil, oil, silk to photography. "Originally I started taking photos as reference material for my paintings." said Lopez. "Then photography became an obsession. I even stopped painting for a short time, to learn the world of photography". After Lopez purchased her first DSLR camera. Her voice really emerged. A friend told Linda about a local art class that incorporated Photos with Encaustic. This appears to be a huge catalyst in the voice you see today in her work. Today you can see her original fine art photography on rice paper with Encaustic and other media worked in for desired effect. Lopez also went on to say, "Expressing my vision with melted beeswax and photography brings me a profound sense of peacefulness and purpose." Lopez is a member of the International Encaustic Artist group and the local Florida Wax Chapter. Her Encaustic art was recognized as People’s Choice in the local Encaustic show. Lopez continues studying various methods and trying new media. She can often be heard saying "I see art everywhere." I always look at lights, darks, shapes and texture in the world around me. I see things others don’t, and I want to share what I experience visually in the world around me”. Lopez is now expanding her representation to various fine art Galleries around the USA. Linda Ann Lopez shares her love of nature and the world around her through her lens, studio and heart. Saw these cute little Eastern Phoebe<(1)>s through out the Orlando Wetlands on a 4 mile hike. Loved the colors that surrounded this little one.